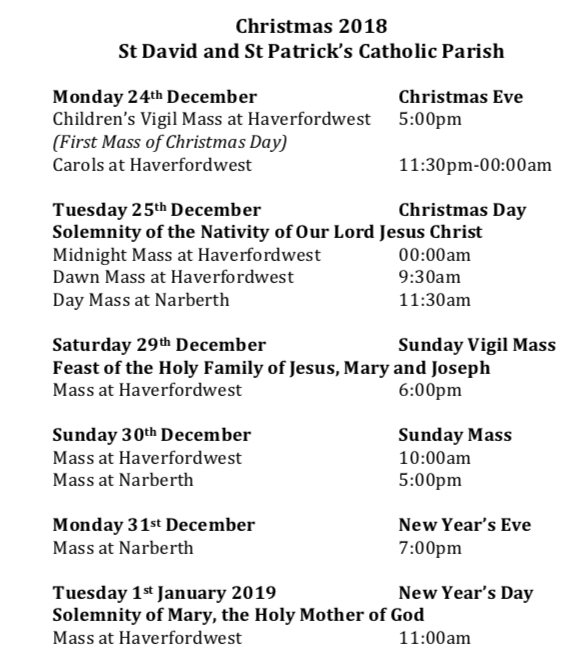 St David and St Patrick Catholic Church | The homepage of the Catholic Parish of Haverfordwest. Mass of the Lord’s Supper: 7:00pm Haverfordwest. The Passion of the Lord: 3:00pm Haverfordwest. Stations of the Cross: 7:00pm Narberth. Mass during the day: 9:30am at Haverfordwest and 11:30am at Narberth. Morning Mass: 10:00am at Haverfordwest. 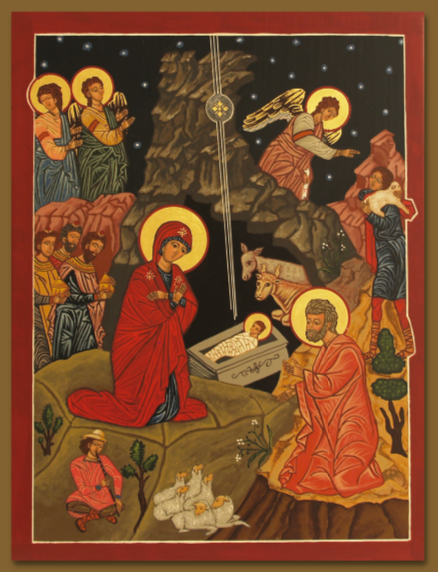 Evening Mass: 5:00pm at Narberth. This entry was posted in Uncategorized on April 18, 2019 by stdavidandstpatrick. This entry was posted in Uncategorized on December 21, 2018 by stdavidandstpatrick. 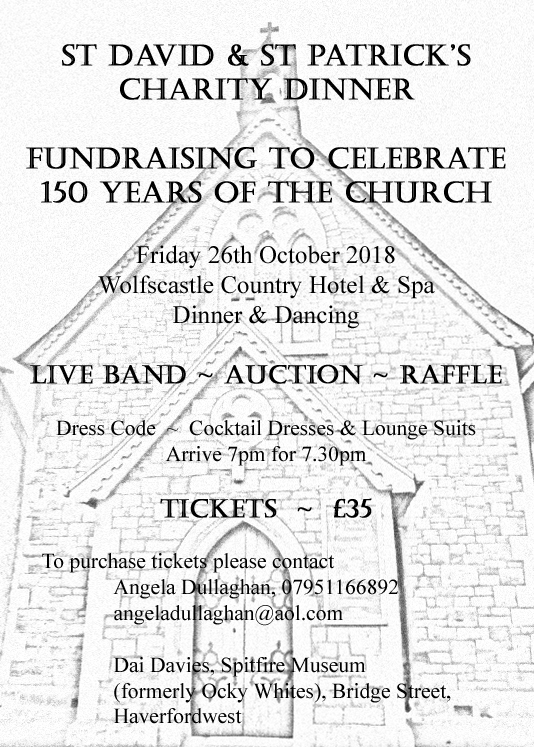 St David and St Patrick’s Charity Dinner. St David and St Patrick’s Charity Dinner! Tickets will also be available after Mass. Any one can come along so, if you want to bring family members or friends, you could buy them a ticket as a gift and have a great night out! I look forward to seeing you all there! This entry was posted in Uncategorized on September 15, 2018 by stdavidandstpatrick. 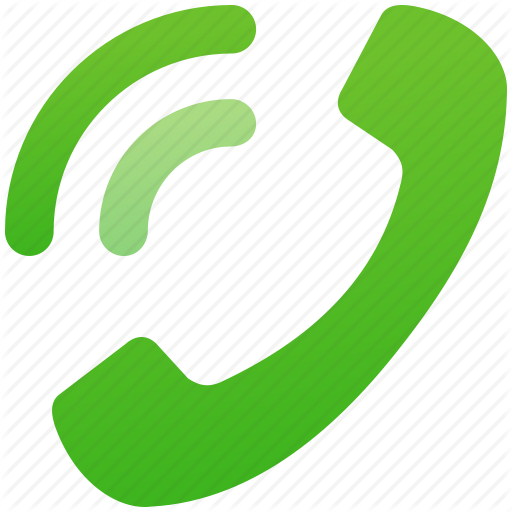 Please know that BT have now repaired the fault on the parish line, and the telephone system is back to normal. 01437 762284. This entry was posted in Uncategorized on August 22, 2018 by stdavidandstpatrick. 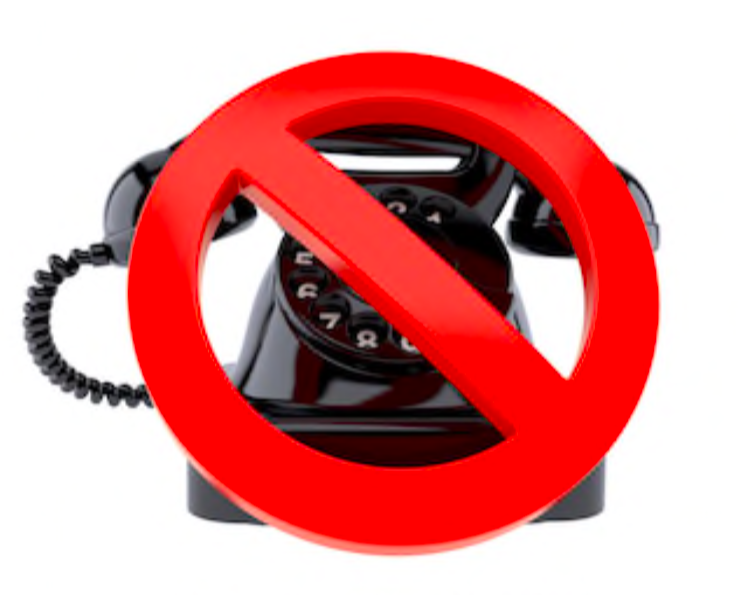 Please note that there is currently no working landline ‘phone to the parish office. The parish email is however still in use. I am working on resolving this problem and I hope it will be sorted soon. Please accept my apologies for any inconvenience this may cause you; it’s certainly causing me a headache! This entry was posted in Uncategorized on August 21, 2018 by stdavidandstpatrick. Alas, the sailings have been canceled. This entry was posted in Uncategorized on June 16, 2018 by stdavidandstpatrick.